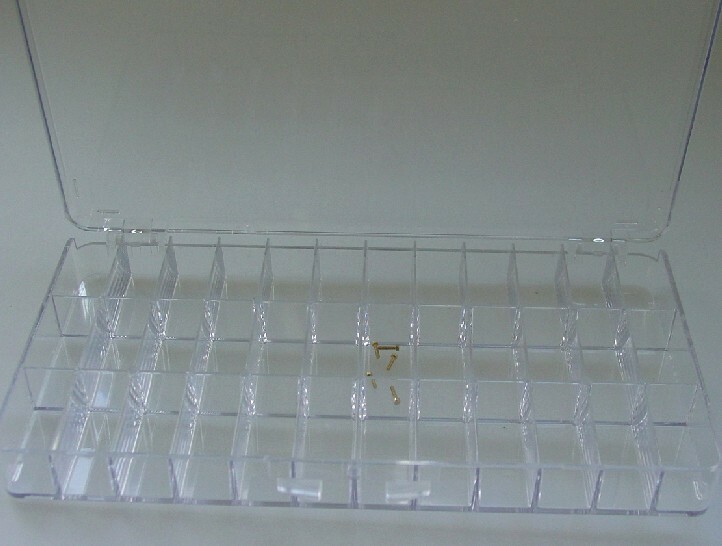 Product information "Screw assortment box"
Screw assortment box with transparent plastic hinged lid. Ideal for storage screws, nuts and very small parts. Measurements: 207 x 112 x 23 mm. 36 compartments 15 x 33 x 18 mm each. Related links to "Screw assortment box"
Customer evaluation for "Screw assortment box"
Diese Art von Kästen nutze ich mehrfach, um Schrauben, Muttern usw, richtig zu sortieren und zu lagern. Die Kästen sind stabil und einfach toll.